Document & File Management System is a state-of-the-art software which takes all aspects of document and file management in account and provides a helping hand to its users. It ensures the proper maintenance of important documents and files in an organization. It facilitates the easy tracking of current location of document/file or the name of person having it. One of the important factors affecting the smooth functioning of any organization is the way in which physical files and documents are managed in that organization. How are they stored, how efficient is the movement from one table to another, how securely they are handled, is the confidentiality maintained, are they being handled by the right group, etc..? The major concern areas in any organization is that the documents/files are not locatable when they are required or that the document/file is kept on a desk for too long creating a bottleneck. Another concern is that the document is missed, add-on papers may be filed in the wrong file. RSBPL's DFMS is a world class technology based solution which manages all these issues with ease and saves almost 98% of the time involved in searching any particular document/file for hours. 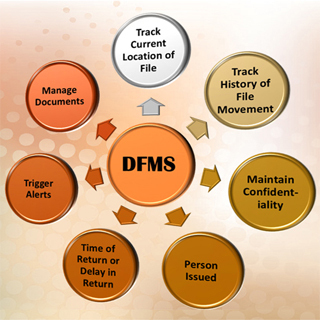 DFMS uses Barcode technology to track the history of movements of documents and files. Name of person borrowing the files, who issued them, issue date, return date, etc. will be managed in the system. It also generate alerts when the time goes beyond the stipulated time of return, tracks where it is kept and monitors if it is with the authorized persons. 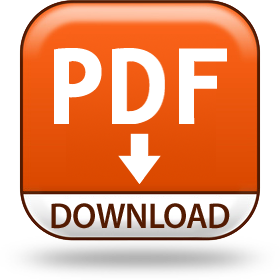 It provides the complete information such as who is currently holding the document/file and for how long is it at a desk. Software will record all the necessary details about documents/files and person related to that document/file. Hence the required reports can be generated and viewed by the authorized department/HOD. This will help in tracing a documents/file quickly and also ensure that quick action is taken and quick decisions are made by the department.